Ray Ban’s NEW Craft Genuine Leather Collection for 2010 is a combination of Rays Ban’s classic iconic styles with an innovative twist. 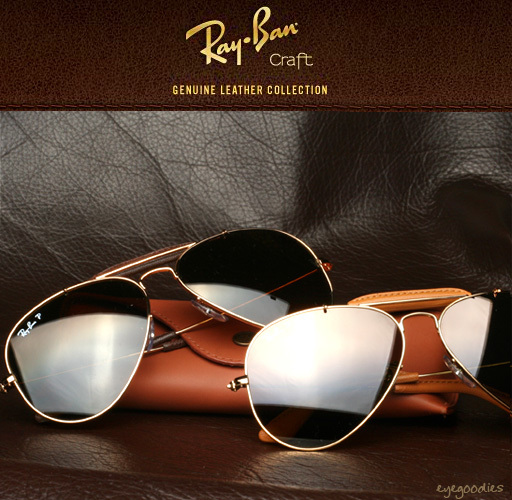 Each pair of sunglasses from the Ray Ban Craft collection, is luxuriously detailed with hand stitched genuine deer leather accents of premium craftsmanship. One of the best things about leather is that it only looks better with age! Alicia Keys can be seen sporting the new Carrera Panamerika 1 sunglasses in her latest video “Try Sleeping With a Broken Heart”, off her new album The Element Of Freedom. 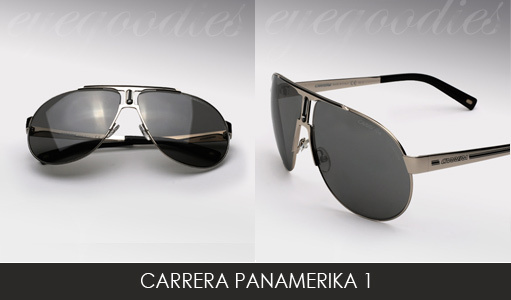 The Panamerika 1 is named for the 1950’s Panamericana race that inspired the birth of the Carrera brand. These Carrera aviators also look great on men, they are sporty, distinct, and look as modern now as they did back in the 80’s. Carrera sunglasses seem to be popping up in videos left and right as of lately, also check out lady Gaga in the white Carrera Champion model in her “bad Romance” video. The Holidays are in full swing! 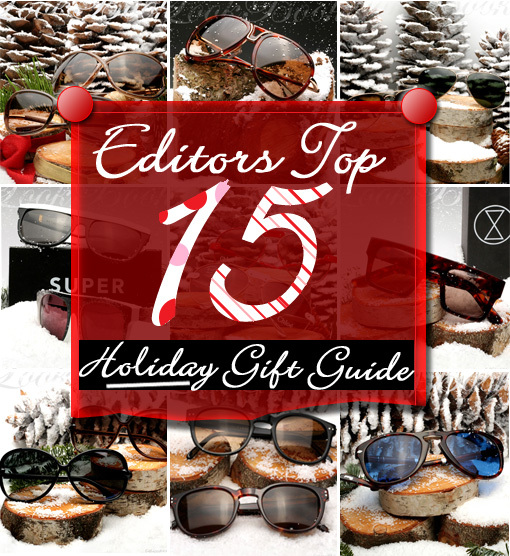 With only 15 days left ’till Christmas, we thought its the perfect time to help out with our Editor’s Top 15 Holiday Gift Guide. And so we’re offering this simple guide, “To kids from 1 to 92″ …..we’ve got the perfect shades for you. 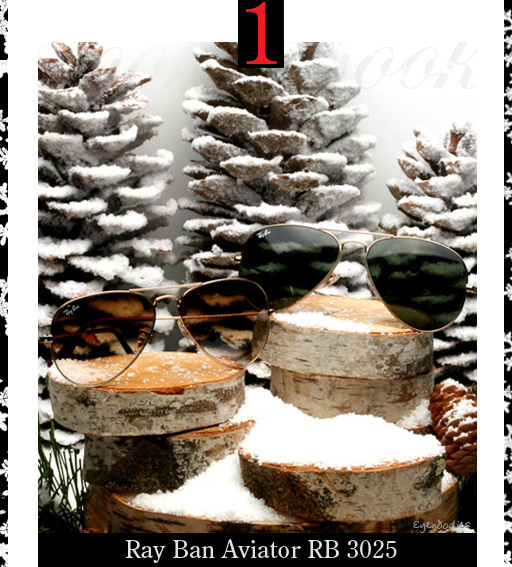 Always in style, Ray Ban Aviator sunglasses are the heart of Ray Ban’s tradition of quality. Even into Ray Ban’s fourth decade, the popularity of the Ray Ban RB3025 Aviator has never faded and it has truly earned it’s title as the “classic all American Sunglass”. Pictured above in the NEW, Gold with Brown gradient lenses (left) and the Original, Gold with G15 lenses (right). Hot damn, here we go again! 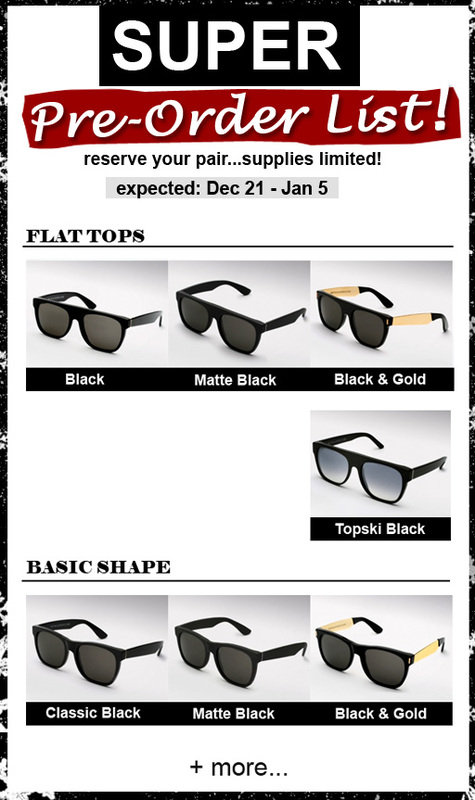 Pre-Orders are now open for our huge upcoming restock of Retro Super Future sunglasses and eyeglasses. Our shipment will include the very hard to hold down Super Flat Top in: Black, Matte Black, Black and Gold (francis), Topski Black, as well as the Gino and Frank. In the Super Basic shape we will be getting in: Black, Matte Black, and Black and Gold (francis). 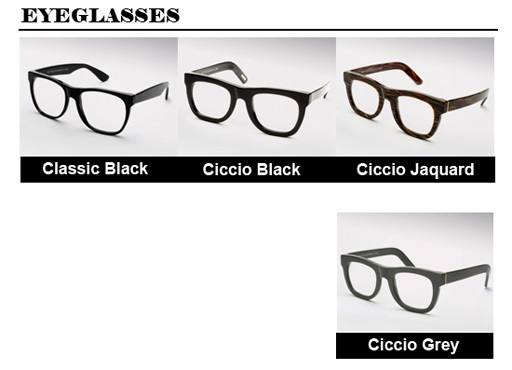 In Super eyeglasses we will be getting in: Basic Black, Ciccio Black, Ciccio Jaquard, and Ciccio Grey. Our shipment is set to arrive between Dec 21 and Jan 5. We will be the first to get them in the states. As the date gets sooner we will update it here and on twitter. Reserve your pair now so your not left out in the cold.